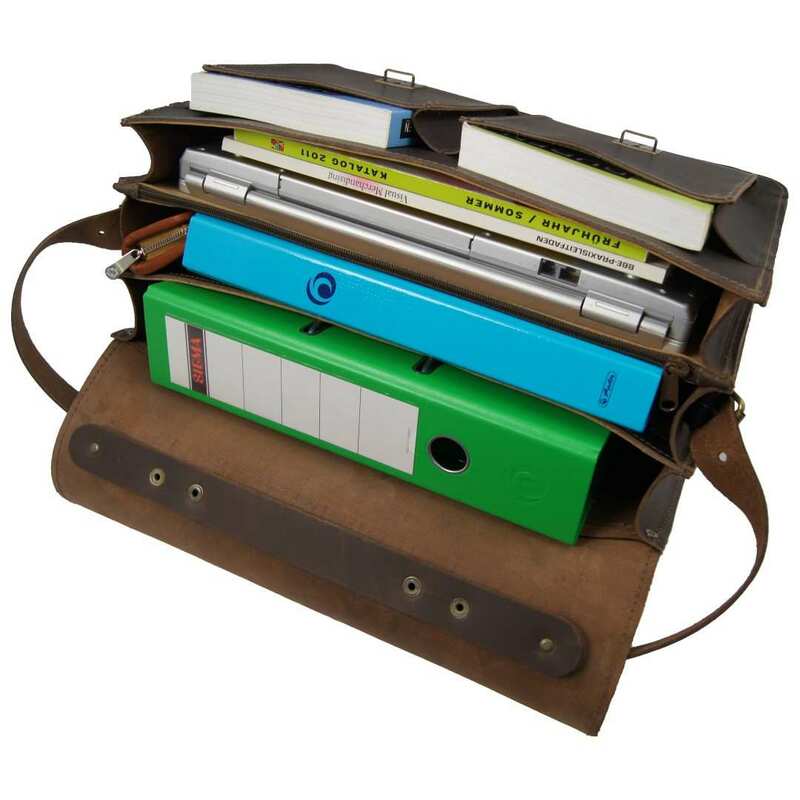 Product information "Portfolio bag DA VINCI 1.0 of brown leather"
Feel like a kid carrying your documents with your new brown leather portfolio bag LEONARDO DA VINCI with a retro look! 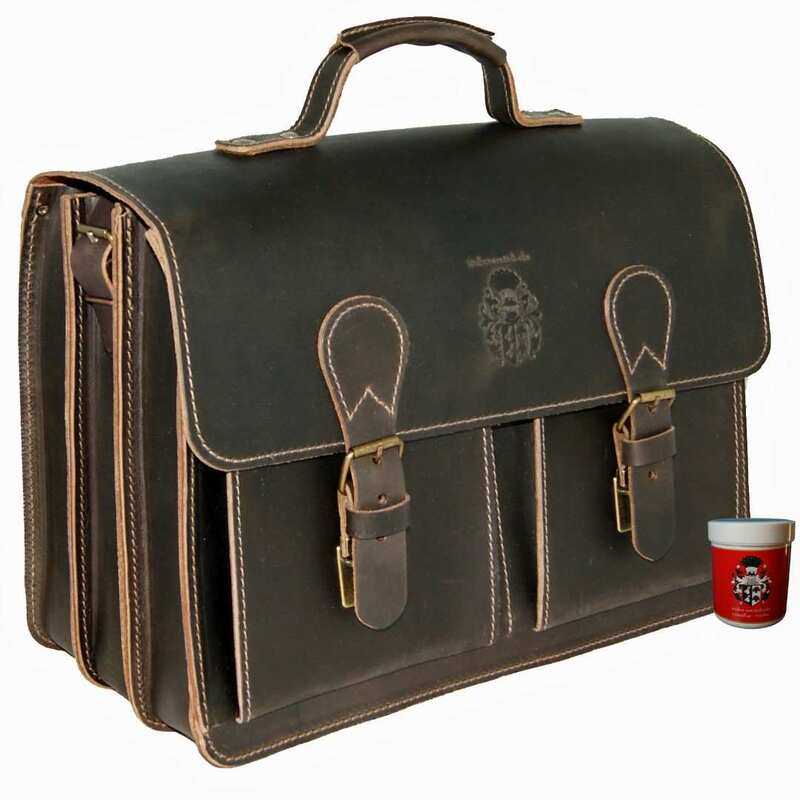 For all those who have to assist normally business meetings or reunions at the office, a robust briefcase is necessary – the ample and yet compact portfolio bag DA VINCI of brown organic leather is a very good option to choose. This briefcase has space for at least three big file folders, optionally a laptop and other small things of daily use such as notebooks or pens, necessary for appointments or business events. 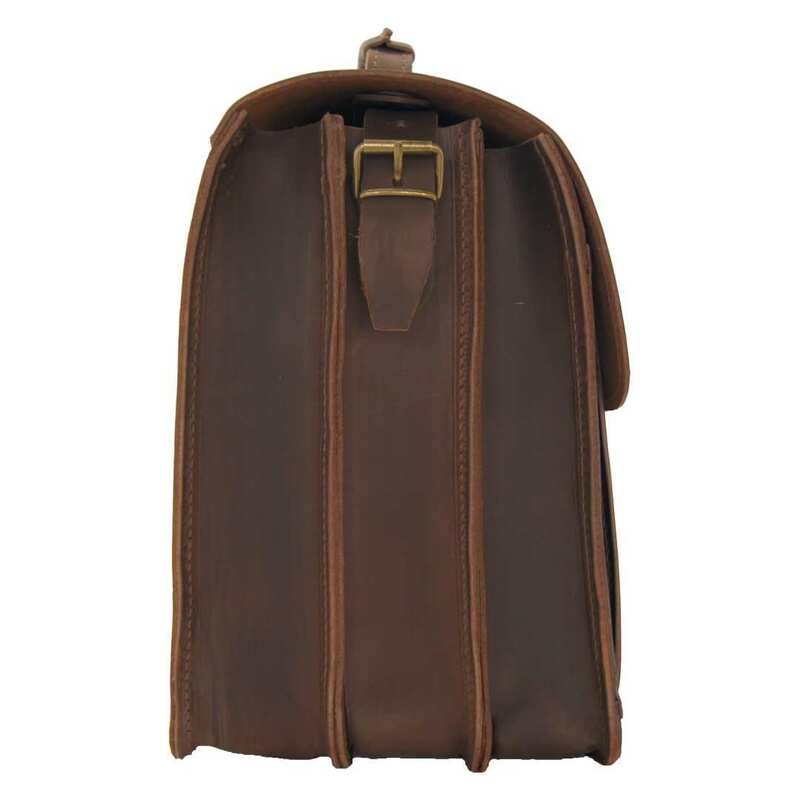 The outer look of the portfolio bag DA VINCI is resistant and sturdy, whilst the inner side is very soft and smooth in order to protect its contents. The handle of the portfolio bag DA VINCI of brown organic leather is fixed to the leather by two rivets on a metal plate. 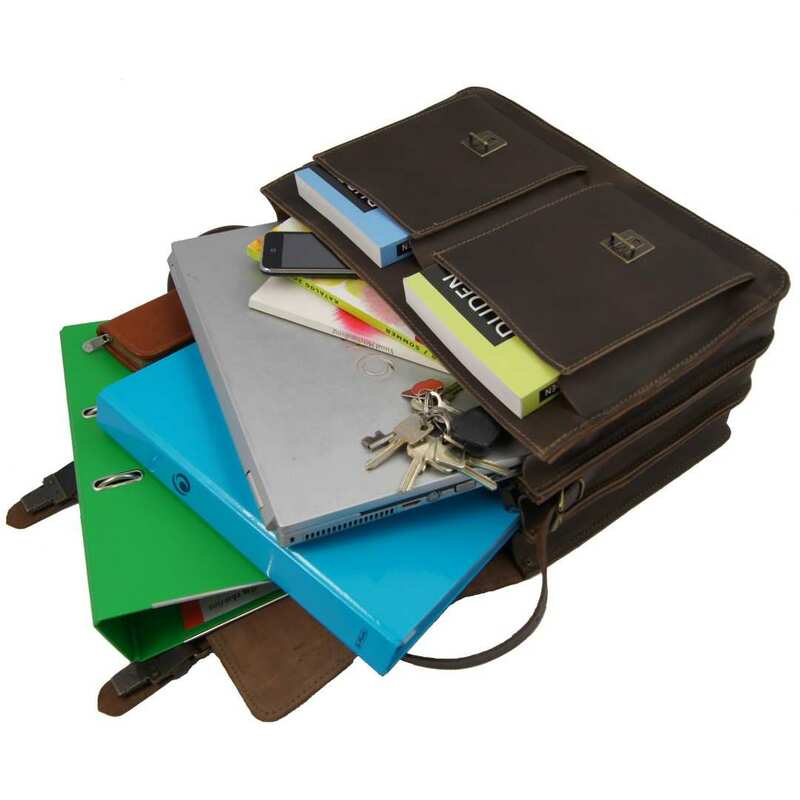 This way, the briefcase becomes very stable and won’t tear by carrying very heavy folders. The locks are made of sturdy metal and make of the bag a classic and fancy companion for every appointment. 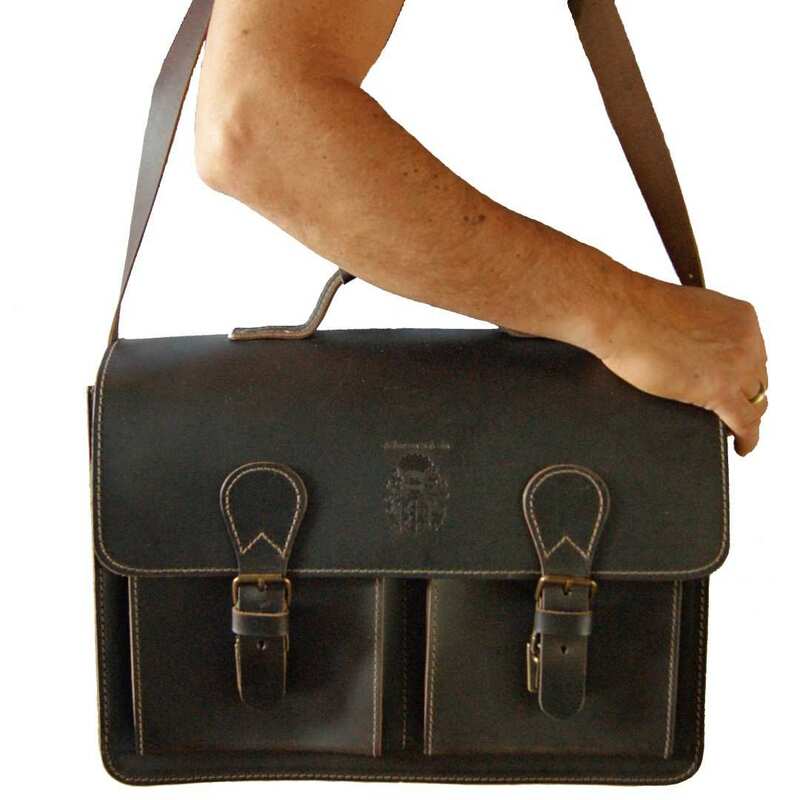 To produce this briefcase, high quality organic leather was used. This has been dyed and greased by hand in Saxony (Germany), as has been sewed entirely by hand with extra strong thread. The total size of the bag is 16.5 x 7.9 x 12.2 in (42x20x31 cm). The shoulder strap of the briefcase is individually adjustable from 31.5 - 43.3 in (80-110 cm) to your preferred size, which increases the comfort of the DA VINCI portfolio bag enormously. A wide, soft shoulder pad is included in the price and guarantees no more scuffed clothes. This is an article of the Collection BARON of MALTZAHN, lovingly handcrafted in Saxony – Quality made in Germany. Reviews for "Portfolio bag DA VINCI 1.0 of brown leather"